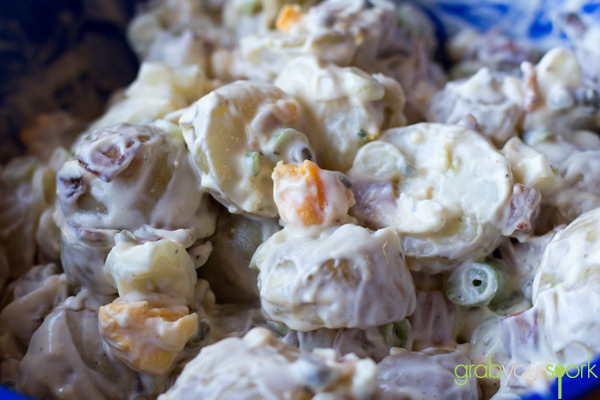 Potato salad is a great accompaniment to most barbeques, family gatherings and a great general “go to” recipe. 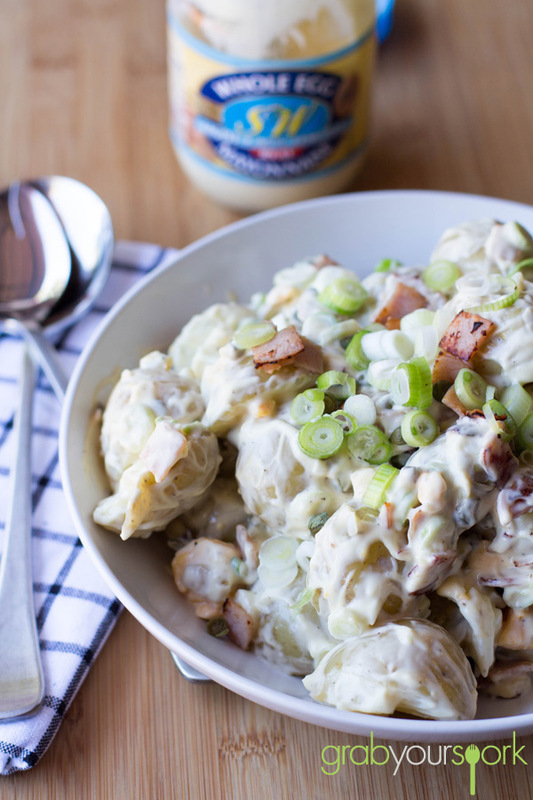 Potato salad is super easy to put together, hard to mess up and is a general crowd pleaser. What’s not to love about a creamy carb and bacon salad? 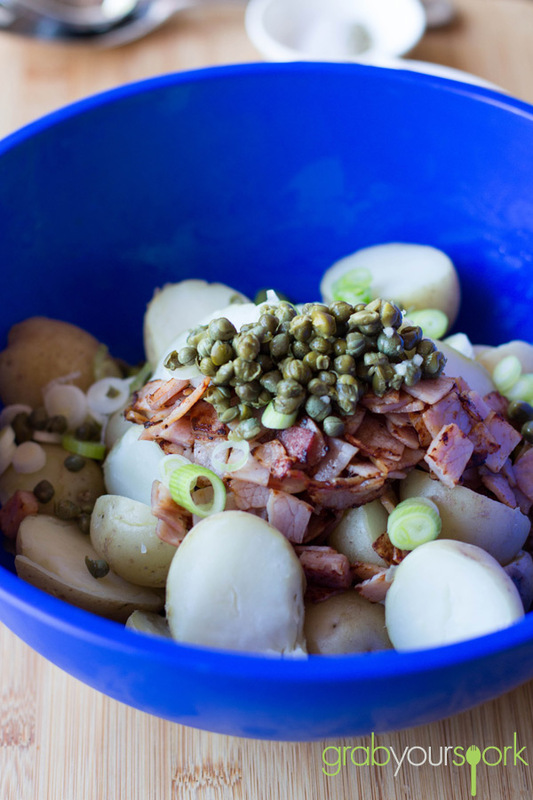 Everyone has their own variation of potato salad, usually a recipe passed on from one family member to another but this is our favourite simple potato salad recipe. 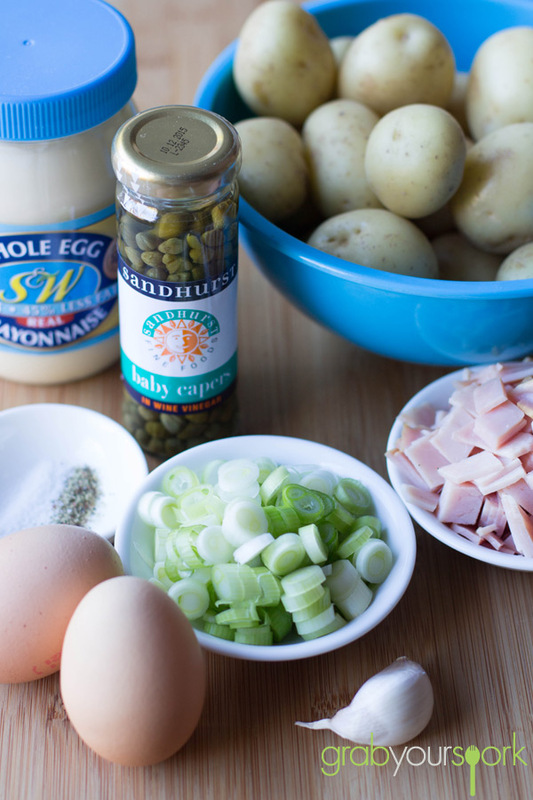 With a simple combination of capers, spring onion, garlic, boiled eggs, bacon and of course whole egg mayonnaise. Some people may use just onion however the addition of capers gives the salad a slight tangy flavour which I like. When making your potato salad be careful not to over boil your potatoes. Brooke starts here potatoes off in cold water to ensure a more even cook to ensure the inside of the potato is cooked and the outside isn’t too mushy. Once you potatoes are boiled and cooled, simply add the remaining ingredients and mix until the potatoes are well coated. Serve in a bowl and enjoy this delicious creamy goodness! 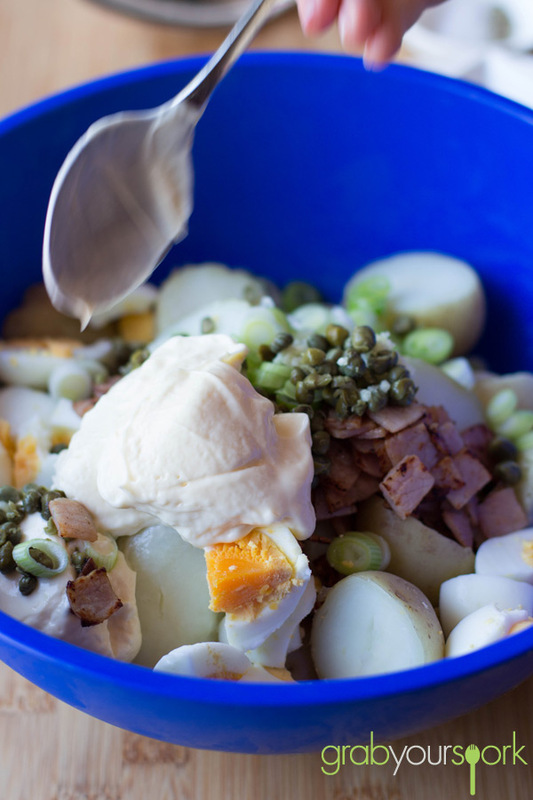 Simple potato salad made with a combination of capers, spring onion, garlic, boiled eggs, bacon and of course whole egg mayonnaise. 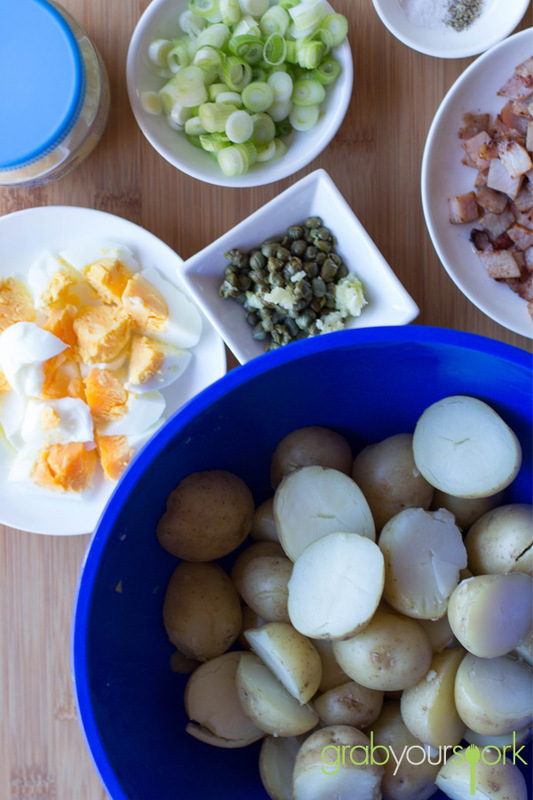 Place the potatoes in a large saucepan and cover with cold water. Bring to the boil over high heat. Boil, uncovered, for 10 minutes or until tender when pierced with a skewer. Drain, then set aside for 30 minutes to cool completely. Cut in half and place in a large serving bowl. Meanwhile, place the egg in a small saucepan of cold water. Bring to the boil over high heat. Reduce heat to medium and gently boil, uncovered, stirring occasionally, for 12 minutes for medium-hard boiled. Drain and cool under cold running water. Peel and set aside. Heat a small non-stick frying pan over high heat. Add bacon and cook, stirring, for 3 minutes or until crisp. Remove from heat. Top with extra spring onions and bacon to serve.